Can you believe we are two days away from kissing 2016 goodbye? This year has really come and gone pretty quick. For the last few years we've been spending NYE at home having a toddler really changes things. This will be our third year going to my in laws, where the family gathers, we sip cocktails, over indulge in tasty apps and play games before ringing in the new year. Honestly, it's my favorite away to bring in the new year, beats going to one of those over the top open bar parties in the city! I started prepping food for Saturday, so I decided to doing a quick post for all of you that are still looking to add something special to your night in. 1. 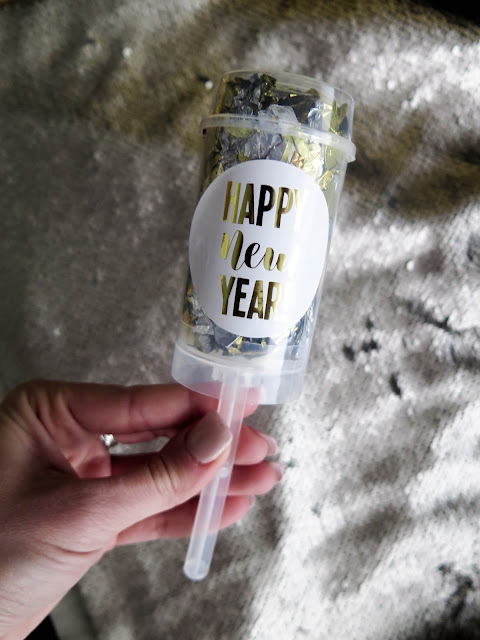 Party Decor : My favorite thing for basically any holiday is the decor and NYE has some really fun stuff to decorate with. NYE is all about the glitz and the glam, sequins, silver & gold. I found a ton of stuff at Homegoods, like the confetti poppers. If you can't find them, HERE is a quick and easy DIY for you to do. You can also find some super cute plates and napkins at your local Homegoods or Target. Add the finishing touches with myler "2017" balloons which are my favorite. 2. 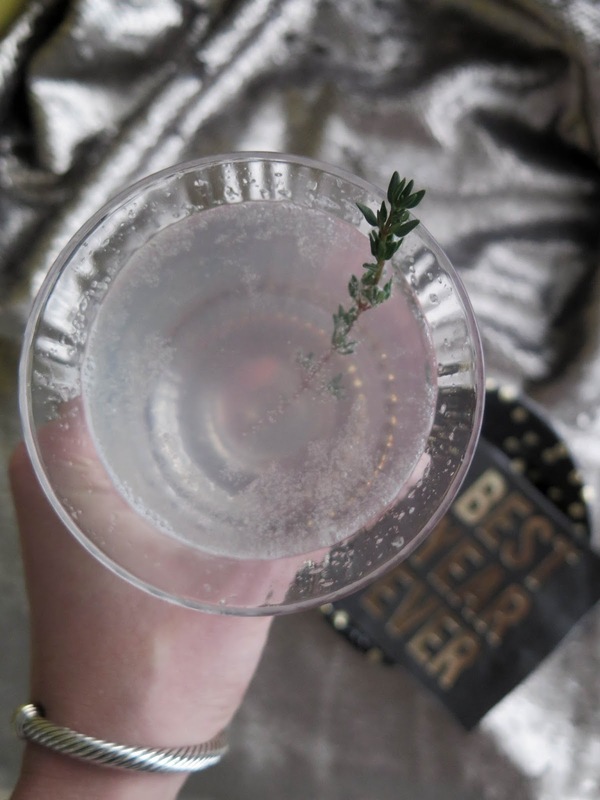 Cocktails : The best part of NYE is the champagne! I am a girl who has grown to love champagne, although for me it's a summer drink.. On new years eve, champagne can tend to get a little boring for me so I like to drink a champagne cocktail. One of my favorite drinks of all time is a French 75 the basis is champagne, gin & lemon juice, easy and delicious. 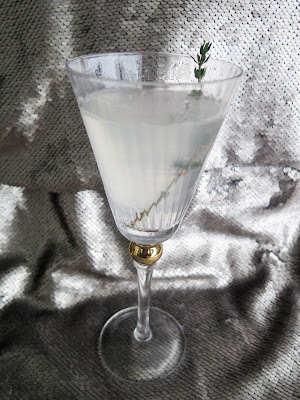 If you want to try the French 75 HERE is a recipe for it. Be sure to offer some variety, not everyone likes champagne so stock your bar so that guests have something to choose from. 3. Pickings : Our new years party is all about appetizers. We pick a bunch of different recipes, some we have done the last few years, some times we add in a new one and really we like to have a assortment of different kinds. Small bite apps are the way to go this way people are picking the whole night long. I tried a delicious roasted pepper and polenta bite recipe this year which is absolutely delicious so if you'd like to try it HERE it is. 4. Attire : I love dressing for the holidays and since we are all just hanging out inside we tend to keep it pretty casual. Be sure to let your guests know what type of party you are throwing! There's nothing wrong with dressing up or down for the big night. But you'd hate for someone to arrive in a formal dress while you are snuggling on the couch in some cute nye pjs. 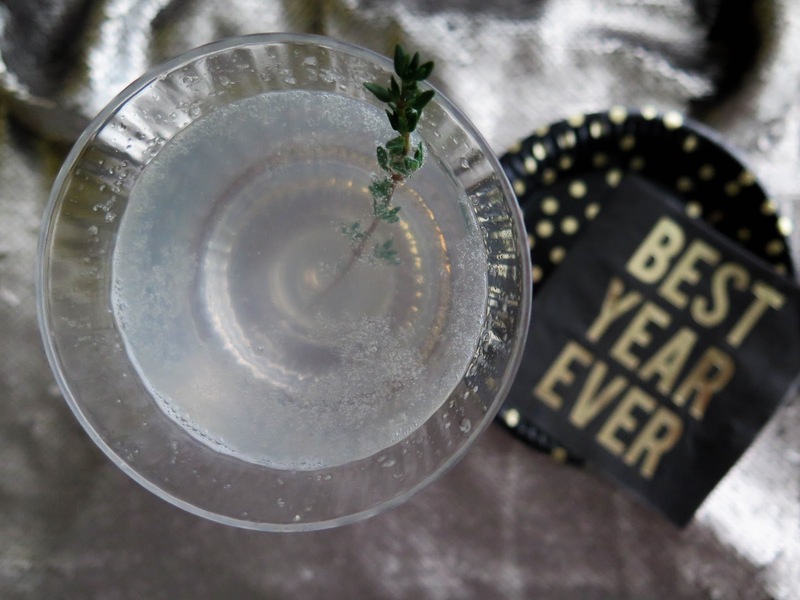 Cheers to the New Year and I hope you all have a wonderful night hosting your New Years Eve parties. Be sure to follow along on my Instastories to see how our night turned out!